Lovely Professional University conducts a National Entrance and Scholarship Test (LPUNEST) for the students. LPU’s National Entrance and Scholarship Test ‘LPUNEST-2019’ is going to provide manifold Benefits to the qualifying Students. Lovely Professional University will be providing ‘Study Grant’ in Crores of Rupees (12+ Crores) for bright Indian Students to study at top Indian institutions including IITs/IIMs. 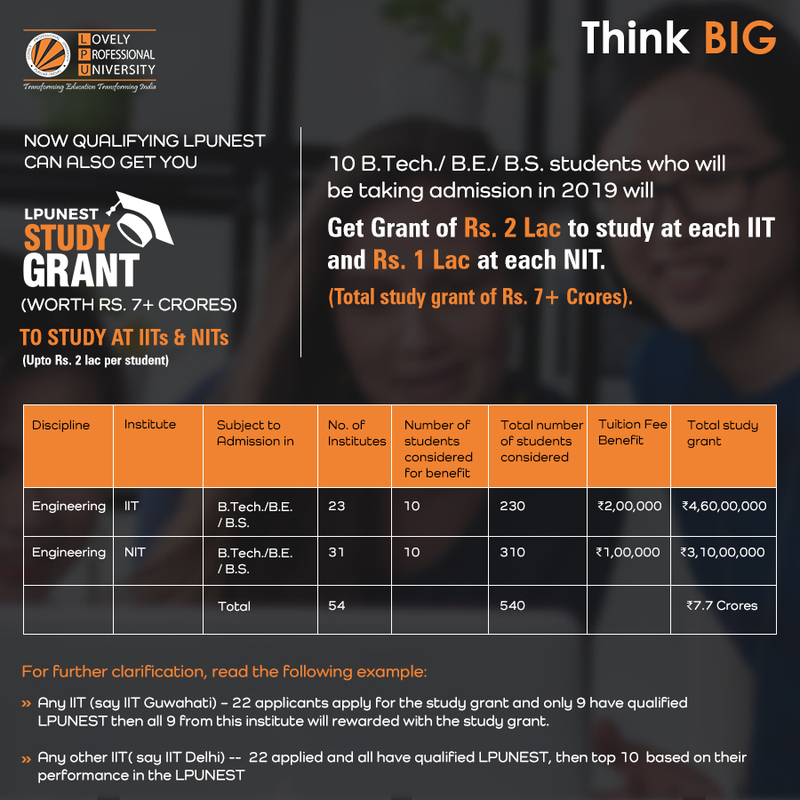 The students who qualify ‘LPUNEST’ will get study-grant of up to Rs 2 Lakh per student to study at IITs/ NITs. LPUNEST test will be conducted in 50 countries and 200 Indian cities. The most popular among aspiring students throughout the country and across the world, the LPUNEST-2019 test will be conducted from 5th April to 30th April 2019.